Apparently, black lives don’t matter in America. For several years a lot of people have been pointing out that a lot of blacks–who aren’t guilty of capital crimes–are getting killed by police and/or in questionable cases of self-defense. Any check of the stats will show a lot more blacks are getting killed this way than whites, and a lot more whites are getting killed this way in the United States than citizens in all similar countries (including many with higher crime rates, such as the United Kingdom and France). 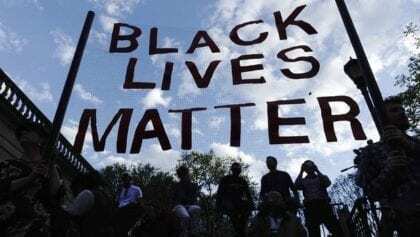 If black lives did matter, the response to that fact would be obvious: all human life is precious, so we would go on a national campaign to find out what every other country is doing, learn some lessons, and try to save some lives. Instead, America has done anything but taking that action. Common responses have been to say that people have made the complaint in the wrong way, that decreasing the number of civilians killed by police is somehow bad for the police officers, and that other things also kill lots of black people (as if that we’re relevant). If black lives mattered, we wouldn’t care who complained about it or how they said it, it would matter only that human beings are at stake. 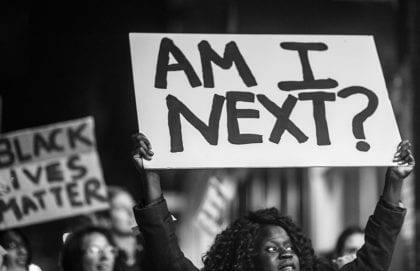 Inaction speaks loudly, and it says black lives don’t matter in America. Actually, it kind of says that white lives don’t matter either. But that’s a topic for another day.